4. Gadsby by E.V. Wright: a book without the letter "e" - how intriguing is this? 5. The Great Gatsby by F.Scott Fitzgerald: Fitzgerald at his best - plus an atmospheric description of the "naughty 20's"
6. Anything by Agatha Cristie, but better yet anything with Miss Marple! "the house was never regarded by the solid part of the community as in any real sense "haunted""
"to say that we actually believed in vampires or werewolves would be a carelessly inclusive statement"
I loved the plot -- a fast, interesting story of the good old-fashioned horror genre. The end as well, was unexpected and further proved the genius of Lovecraft - I thoroughly enjoyed this book and plan to search for more of his work. Up to now, I was only aware of the film by the same name with Leslie Caron and Fred Astaire - lighthearted and sweet - but decided to read Daddy-long-legs by Jean Webster after reading very good comments by other bloggers. 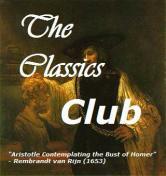 The book retains this joyful sense, albeit with tiny, sharp comments that prove the depth of character in it. It starts with the asylum where the main character, Jerusha, is living and the way the visiting committees regard it: "they made their rounds, drunk their tea and now they hurried home to forget their bothersome little charges"
Jerusha (Judy) is an orphan of 17 years, who in the last two years has been taking care of a whole room of youngsters, as well as cleaning and tutoring in the establishment - a fact that is conveniently "overlooked" by the administration . She is presented with a scholarship by a Mr. John Smith, whose figure, in a snapshot of car headlights resembles a daddy-long-legs, hence his nickname. "you can't expect me to have any manners; a foundling asylum isn't a young ladies' finishing school"
I found her character very true to life. A survivor, she does what she can to avoid humiliation and to fit in with the other girls. "when the girls talk abut things that I never heard of, I just keep still and look them up in the encyclopedia". Even though she comes from the poorest of the poor, she shows her sensible side, when she prefers to buy books and writing material with her Christmas present (ok, she also buys a pair of silk stockings, but she does have a purpose...). Still, she is a lonesome little girl, and becomes soon attached to Mr. Smith - her grandmother, her uncle, her whole family in one. It is for this reason she also feels puzzled when she can't get any more information about him "I don't know a single thing about you. It is very uninspiring writing to a Thing"
Further on, there are just too many parts in the book that are just magnificent! But the book also includes very serious insights on life - Judy has had an unconventional childhood and this experience has taught her early on that it's important "to meet the petty hazards of the day with a laugh". She has come to realise that one has to always "be ready to accept the good things in life - the whole secret is in being pliable... and make a great deal out of the little pleasures (in life)". There is also the acknowledgement that "most people don't live; they just race ... trying to reach some goal far away on the horizon" - how true does this sound in our day and age? how many of us have 5- and 10-year plans, which we follow to the letter, while forgetting to admire the sunset in front of us, and embrace our families and friends NOW? 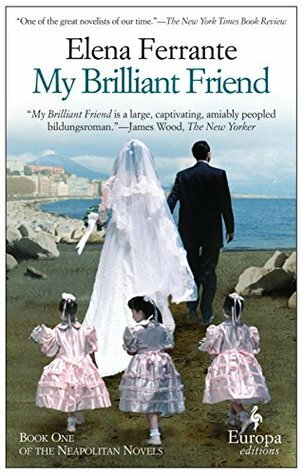 I'm still thinking about this book - it's true that we can't know what our future holds, but we should always be thankful for everything we have - as for the misfortunes, we shouldn't be resentful - just regard those as a very unusual adventure. For starters, there were courgette (zucchini) and feta cheese "fritters" with tzatziki. One word of warning: I actually cook light. So, instead of frying, I prefer to bake (no tons of oil necessary). And because I can be lazy, instead of zillions of little fritters, I bake a huge one in the pan, and then cut up in pieces (thanks mom - she taught me this recipe). --mix all together, oil spray a baking tray, pour mixture in, oil spray top. Bake at 180oC for about 20-30 minutes. These are served with tzatziki, which in my recipe book is 500ml of thick (Greek) yoghurt, 1 grated cucumber, olive oil, dill, salt/pepper and a little mint at the end -- no garlic! Moving on, the ever present moussaka. I know, this is rumoured to be one of the most difficult dishes, with days of preparation, secret recipes for each step and cries at the end of cooking... Not with me. I want an easy life - hence the variation: instead of actually grilling the aubergines myself, I buy them ready sliced/grilled/frozen. I start with a layer of potato slices (raw, they will cook in the oven), a layer of the frozen aubergine slices (they too will cook), a layer of bolognese sauce, and a layer of bechamel - done. Another innovation of mine (! 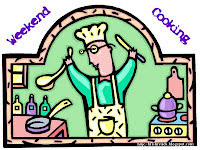 ), is that I never cook on the day I have people over. For this dish, for example, I made the bolognese and the bechamel 1-2 days in advance and kept refrigerated and then the evening before, I assembled everything, baked for about half an hour and presto! Magnificent moussaka, ready to be kept (don't try to eat it on the spot, it will be piping hot and will melt away). As to sides, one tomato salad, one green lettuce salad - easy peasy! And finally for dessert, a recipe given to me by the mother of two of my closest friends, ravani with coconut. Ahem... this is certainly not light. It's full of coconut and syrup but it's soooo delicious. A tiny bit of heaven, only to be complemented, if absolutely necessary, with vanilla ice cream. --Mix all together, pour in a baking tray lined with parchment paper. Bake at 180oC for 30 min. Take out of oven, cut cross-wise. Boil syrup of 3/4 cup each sugar and water, pour over hot ravani. Let cool, springle with more grated coconut. 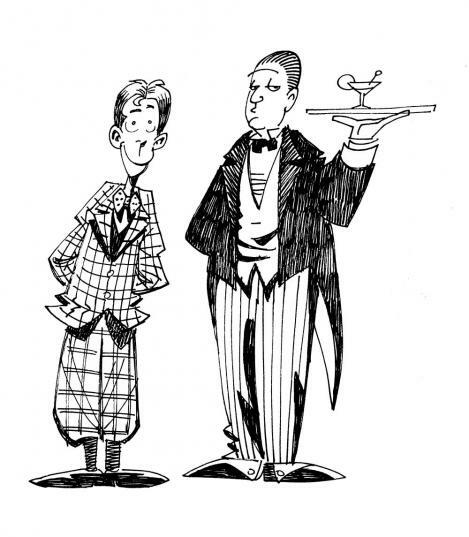 I hadn't realised that one of my favourite great series I've watched over and over again, Jeeves and Wooster, was actually based on the books by Wodehouse. My man Jeeves would be my first in this collection to devour and feel good about it. 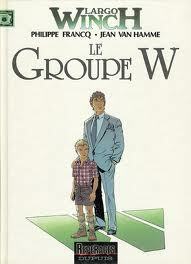 This is a collection of short stories that starts with the known couple of Wooster and his butler extraordinaire Jeeves. Primarily describing their adventures in the US, the stories capture the caricatures of the ever so slightly neurotic Wooster on the one hand and of the charismatic and suave Jeeves, trying desperately to get and keep his master out of trouble. There is an expected template of story - once you get to understand the steps to it, all other stories are in the same format. Not that repetition takes away anything from the pure enjoyment, far from it! Wodehouse gets us back to the early 20th century at the upper-class establishments, where the young (nobility, but of a lesser importance) adults take advantage of their station and get into all types of mischief - getting into girl trouble, depending on the relative's financial contribution, trying to make it into the world as a professional - there is always something for every taste. The stories are written in a style as if the narrator (in most of the stories Wooster) a pal of ours is and he's talking to us about his misfortunes - the language is very simple and slightly slang, with a quick tempo so as to ensure an easy and comfort reading -- ideal for when tired, but more so when under the weather. Together with a nice hot cup of tea (and some cookies), these stories are bound to cheer me up any time! I particularly enjoyed those situations where Wooster tries to by-pass Jeeves' recommendations. 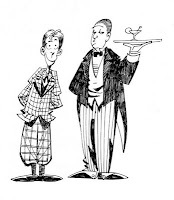 This will cause a strain in the relationship and lead to farcical circumstances -- but in the end, and in appreciation of Jeeves' solving yet another direful case, Wooster will succumb to Jeeves' original recommendation. "There is no doubt that Jeeves is in a class of his own. In the matter of brain and resource I don't think I have ever met a chappie so supremely like mother made"
﻿﻿﻿﻿The stories also reminded me of the so-called "screwball comedies" during the 1930's and 1940's - there as here, the storyline is light but not silly, fast-paced, and the situation will inevitably lead to a happy end (after many, many intermediate steps, of course). Still in my early months as a blogger, I cannot get enough inspiration from reading other people's blogs and their ways to accumulate tons of reading material. 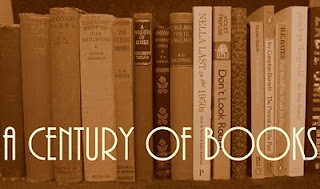 One such great blog is by Simon T, and his project to read books from the last century. 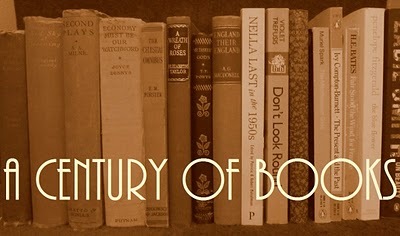 His project, A Century of Books, reads and reviews (at least) one book per year of the 20th century. I could not resist such an anti-challenge as he calls it, not because I would read yet another 100 books, but because I 'm bound to find little gems in those books, which I would otherwise not have discovered. Thanks to Wikipedia, I can actually see the lists of books per year, and look into their content before deciding which one to include in my Century list (plus, I get to look at Simon's and Claire's lists and pick their choices to include in mine...). Needless to say, I've almost through compiling my list, which covers 5 languages (so my pledge to read in all the languages I speak still holds strong) and I look forward to see how much time this endeavour will take. Simon has assured me that there is no time limit - so I'm thrilled. You can check my progress here - and wish me courage! I didn't know what to expect of Macbeth by Shakespeare. Having only heard small passages of the play in various classic mystery films (the latest was a Columbo episode, where the murderers were actors playing Macbeth and Lady Macbeth), I was not sure whether all this war theme and blood and madness would appeal to me. I loved it. Plain and simple - I loved it. "if chance will have me king, why, chance may crown me without my stir"
"that is a step, on which I must fall down, or else o'erleap, for in my way it lies. Stars, hide your fires! let not light see my black and deep desires"
"Will all great Neptune’s ocean wash this blood clean from my hand? No, this my hand will rather the multitudinous seas incarnadine, making the green one red"
and already I had the feeling that Shakespeare insinuates that the trick with the Witches actually the deep immoral thoughts of Macbeth were - he personified his inner want for power to the hated figures to justify the evil taking over his soul and to justify his actions. "... unsex me here; and fill me, from the crown to the toe, top-full of direst cruelty!" "... unnatural deeds do breed unnatural troubles"
the blood from the first killing has stained her for good and she can't just seem to be able to pull through. But being such an evil planner, I would never have suspected she would be of a sensitive nature - there, of course, comes Shakespeare to bring everything off balance and provide a twist to the story. A truly great play with yet another innovation - I loved the fact that the most important parts of the play do not actually take place in the main stage, but are rather presented afterwards or only mentioned ... this, however, sent my poor imagination into overdrive -- if I could close my eyes to the horrible scenes I was imagining, I would! The language used throughout is fairly strong and gory, which is exactly the indication that this is no child's play -- we find ourselves in a dangerous plot, we witness the darkest hours of human kind through the eyes of Macbeth and Lady Macbeth. Several of the monologues have become iconic for pointing right at the core of the feelings of the characters, be it the preparation phase for a murder or the time afterwards, when they realise what has been done. I would even go as far as to say that the play is a series of well-delivered monologues showing the spiralling fall of Macbeth. It's not nice, but it's truly interesting! On the other hand, I also like the rhyme-like dialogues of the three witches and Hecate, blurring out horrible things in such a pretty way... It's a twisted hilarity to an otherwise solemn play. For the visual interpretation of this play, I watched the 1979 version of Macbeth with Ian McKellen and Judi Dench (not yet Sir and Dame at the time). 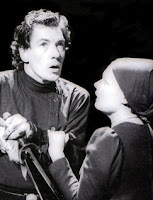 I cannot recommend this version enough - beautiful chemistry between the two, mastery of the gory nature of the play and then there were the monologues - both by Dench on the "come spirits..." but especially by McKellen on "is this a dagger..." and "tomorrow and tomorrow and tomorrow" - they are truly unbelievable and sent shivers down my spine! I've been reading lots of blogs reviewing graphic novels and I felt I was missing out on something. Solution: go to the expert (my friend Carmen) and ask for some graphic novels, pleaaaseee. 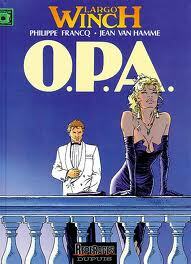 She obliged and gave me the first three issues from the Largo Winch series to read and see what I thought of them. Now, my experience so far had been Asterix while growing up and some M.A.D. issues as a teenager. Then literature books started, and that was the end for "non-books". The use of various exclamation points in the novels substitutes the body language in the films, and I found this technique very innovative in complementing the little dialogue boxes. The emphasis on words in super bold characters and the use of words for indicating all types of noise (klak! tak! slam! bzzzz!) reminded me of the 1960's TV series of Batman and Robin. How ingenious!